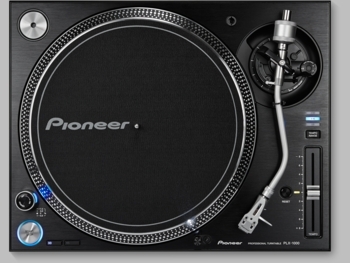 Pioneer DJ PLX-1000 Professional DJ Turntable DJParts - All Variety of Parts that DJ Needs. The high-torque direct drive makes sure that your tracks reach a rotation speed of 33⅓ rpm in merely 0.3 seconds thanks to a starting torque of 4.5kg/cm (or more). Plus it ensures stable rotation and exceptional control. Unique to this turntable is the multi-pitch tempo control. Next to a standard variable width of ±8%, you can also select a variable width from ±16% and ±50%. A simple reset button instantly reverts to the fixed rotation speed at ±0%.